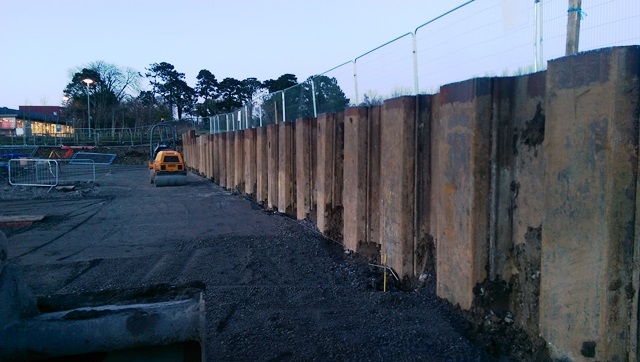 This Project involved the Installation of 120m of MX7 Sheet Piles ranging from 6m – 7.5m in length in order to facilitate the construction of a service road around the perimeter of the new shopping facility development. 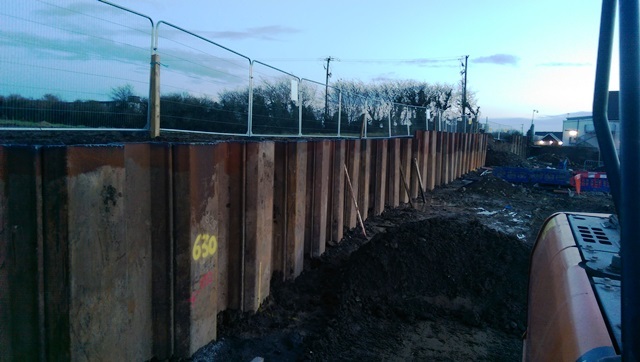 The Sheet Piles propose was to retain the soil outside of the site boundary and allow the service road to be constructed allowing maximum use of the available development space. 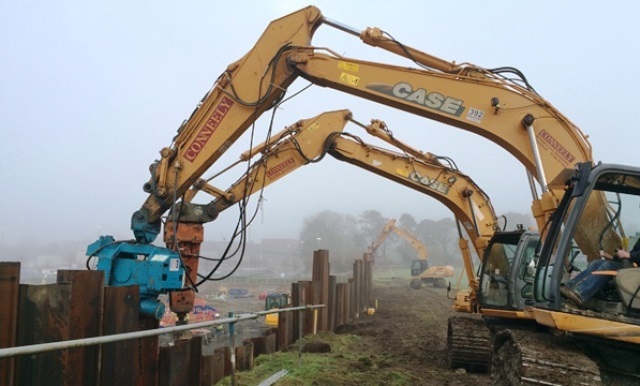 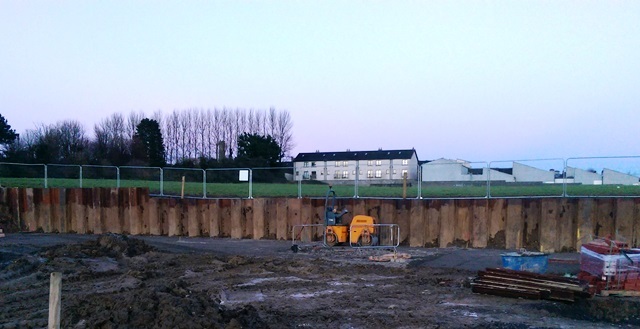 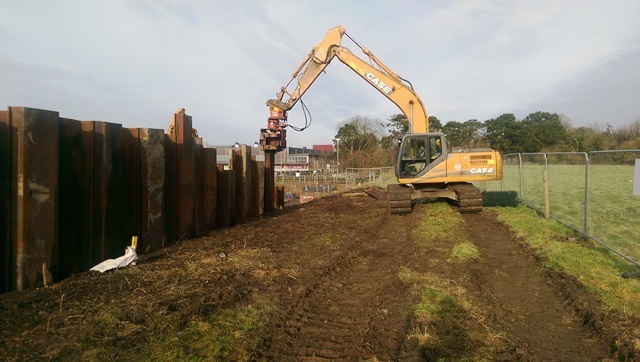 The Piles were installed using a Movax SP 50E Vibratory Piling Hammer and a CX210 Excavator. 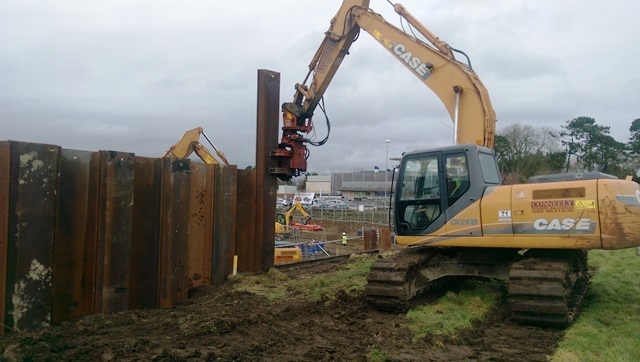 Once erected and clutched in place a Muller MS-6 HFB was used to drive the piles down to Design Level.